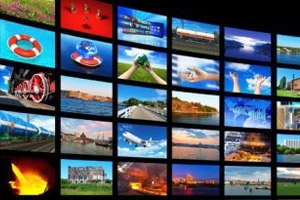 European pay-TV revenues will reach $40.35 billion in 2014, up from $36.87 billion in 2010, according to a new report from Digital TV Research. The European Digital TV Databook (covering 39 countries) reveals that the 2014 total will only increase by 0.6% on 2013 as ARPUs are hit by competition and the transition of subscribers to double-play and triple-play bundles (which result in higher overall ARPUs for operators but lower TV ARPUs). Satellite TV will contribute 45.6% of the pay TV revenues in 2014. However, satellite TV revenues are falling, partly due to greater competition but also due to the growth of cheaper packages, such as Tricolor in Russia, which force down prices for the whole country. Pay DTT revenues are also suffering. However, IPTV will record strong revenue growth. Digital cable revenue growth will compensate for the decline in analog cable revenues. Pay-TV revenues in Western Europe will increase by 5.9% from $31.9 billion in 2010 to $33.8 billion in 2014, with Eastern Europe up by 32.2% to $6.5 billion. The UK ($7.8 billion) and Germany ($4.6 billion) will lead pay TV revenues in 2014. Pay-TV revenues in Germany will increase by $945 million between 2010 and 2014 and by $813 million in Russia (nearly double its 2010 total). However, revenues will fall in the Czech Republic, France, Malta, Romania and Spain over the same period. Pay-TV subscriptions will increase from 154.5 million in 2010 to 171.6 million by end-2014. The Western European total will rise by only 4.0 million to 97.3 million, but Eastern Europe will climb by 13.1 million to 74.4 million. Adding 8.5 million subs between 2010 and 2014, Russia has had the most pay TV subscribers by country for some time. The number of pay TV subscribers will fall in the Czech Republic, France, Italy, Slovenia and Spain between 2010 and 2014. DTT is the most popular platform, although its growth is slowing. Pay satellite TV is in second place. Digital cable overtook analog cable in 2013 to take third place. The number of homes paying for IPTV will more than double between 2010 and 2014. Russia will overtake the UK and France in 2014 to become the second largest digital TV nation. Eight countries will have 100% digital penetration by end-2014, but penetration will be lower than 60% of TV households in six countries. Digital TV penetration will more than double in nine countries between 2010 and 2014. There will still be 53.3 million analog homes remaining at end-2014; down from 115.4 million at end-2010. From the 2014 total, 34.9 million will be analog cable and 18.4 million analog terrestrial. Only 10.8 million of the 2014 total will be in Western Europe, with the remaining 42.4 million in Eastern Europe. Russia alone will have 21.9 million analog homes by end-2014, with Germany and the Ukraine supplying 6.8 million and 7.9 million respectively.